Fitting in Fitness: Kelly's Interview Mama Say What?! | Mama Say What?! You are an incredibly busy mama! Fitness has been a part of your life for a long time. When did you start? I started working out pretty regularly in college, so 10+ years ago. I attended a few aerobics classes at the student rec center and also did Tae-Bo in my dorm room. After college I bought a ton of videos and did them in my living room.When I could afford it a few years later, I joined a gym and really got into taking all of the aerobics classes I could fit in. 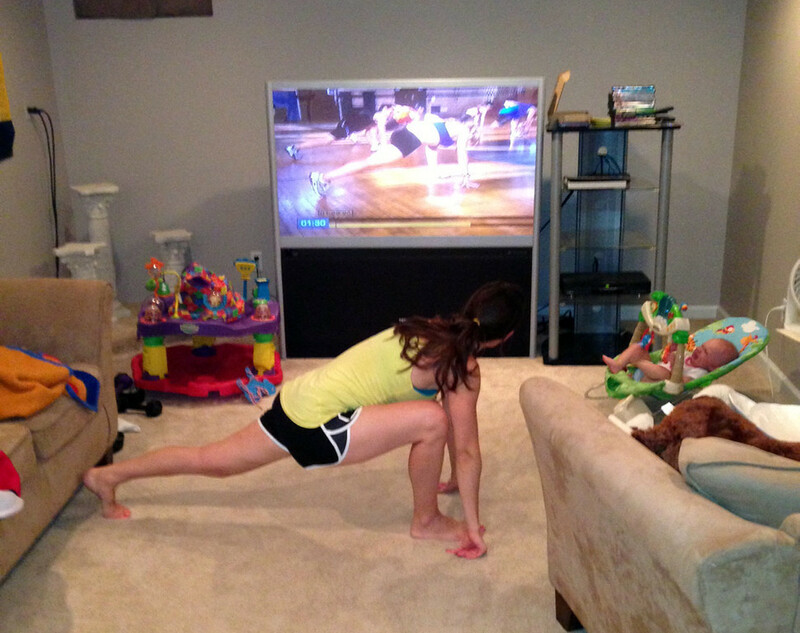 After I had my first baby I didn’t have time to make it to the gym so now I work out at home again. 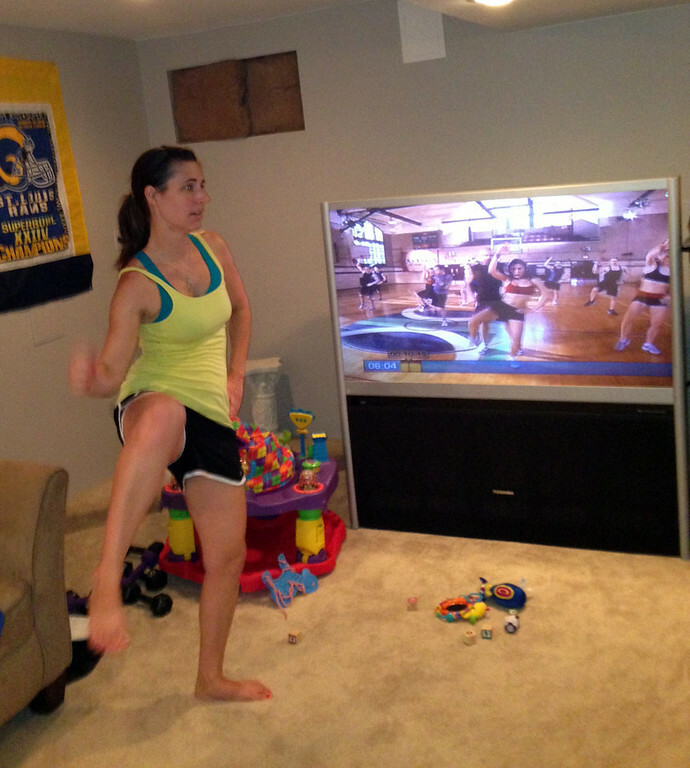 What has motivated you to continue working out post-babies? And for that matter, how do you stay motivated? Exercise has always been a big part of my life, so after having had my children I was itching at the six week mark to get back into it. Post-babies – my biggest motivator was obviously getting back to pre-pregnancy weight and fitting into my normal clothes again. I have several different things that keep me motivated. For one, my parents instilled in me from a young age that being active is a good thing and I want to set that type of example for my children. I want them to see me as someone who takes care of her body and hopefully they will follow in my footsteps. As bad as it sounds, I’m also motivated by food. I am not the type of person to go on a diet, I can honestly say I’ve never been on one before. I would rather get in a great workout and then indulge in ice cream or take-out every once in a while. I would say that I sometimes work out to eat, so if I do want a treat I don’t feel guilty about it. Staying motivated just comes naturally for me. Since working out has always been a huge part of my life, it’s just routine to me now. And now that I’m a mama, working out has become my ‘me’ time, so I look forward to that alone time and clearing my mind. Being a mama of two young children, it is hard! When I was working full-time I would usually bring my son downstairs with me and let him play while I worked out. This also goes along with what I said above, that I want them to see me being active, so I do some of my workouts in front of them. If I couldn’t fit it in then, I would do it after they went to bed. Now that I am a stay-at-home mom, I am very fortunate to have two great nappers (most days! ), and I get my workout in while they are sleeping. If we have an off day of weird naps or on the weekends I just bring them downstairs with me and workout around them, sometimes as they hang on me! I also try to keep most workouts short and sweet. 30-40 minutes is about all my 5-month-old will tolerate me doing if she is with me. What types of fitness activities do you enjoy most? I enjoy anything that gets my heart pumping. I mostly do videos that are a mix of strength and cardio and my elliptical. Occasionally, I will run outside if the weather is nice. I’m a ‘former’ runner and completed a half marathon several years ago. Also, pushing two kids in a double stroller on neighborhood walks is a great workout and something I do frequently. You have had good things to say about Lindsay Brin’s Pretty Fierce workout program, can you tell us about it? I seriously cannot say enough good things about her workout program. I first heard about it from another mom friend and now I’m hooked! I knew after having my second baby I was going to need something to whip me back into shape. I always like to try new videos so I purchased her Weight Loss and Lean Out series. I usually don’t like doing things as a program, I’d rather do random videos, but she schedules the workouts and I felt like it was mixed up enough so that I didn’t get bored or feel like I was doing the same thing over and over. I followed her eight week weight loss calendar to a T and ended up losing about 11 lbs on my first round. I like that the videos are short and sweet, most are around 30 minutes, but they are very challenging. I am definitely dripping in sweat when I’m done with a workout and sometimes my muscles feel like jello! 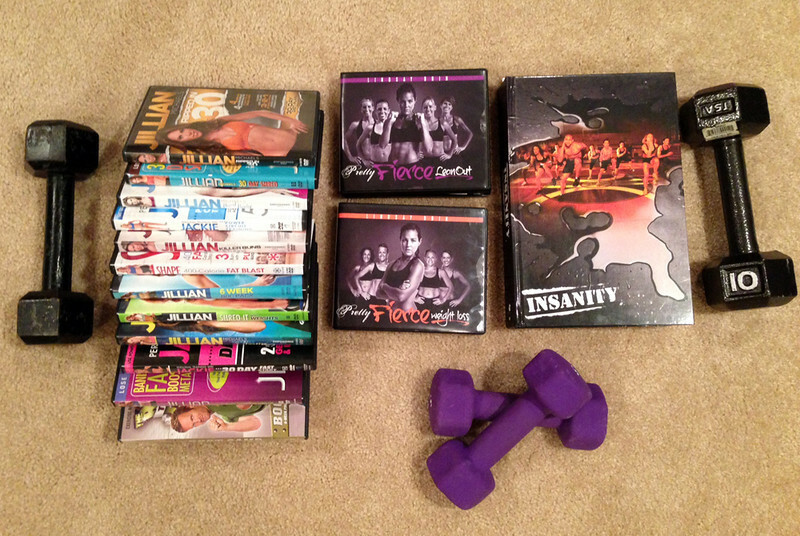 I highly recommend the DVDs to everyone and credit them with getting me back to pre-pregnancy weight quickly. Do you have any advice or suggestions for mamas having difficulty fitting fitness into their life? My advice would be to just make it a priority. Schedule it in your calendar like a doctor appointment that you can’t miss. Put your workout clothes on first thing in the morning and tell yourself you can’t get dressed until your workout is done. If it means waking up early before the kids get up or getting it in after they go to bed, just do it! Also, every little bit counts. Five minutes here and there is better than nothing. Check out some other mamas and their fitness journeys: Genae’s Journey, April’s Journey. And stay tuned for more! Added by Corey P. on July 30, 2013. Nice tips. I especially agree with writing it down in your calendar because it’s a lot harder to make excuses if you skip it. Pingback: A Cycler's Beginning: April's Interview Mama Say What?! | Mama Say What? !